National Seeds Corporation Management Trainee Syllabus 2018, NSC Senior Trainee Syllabus, NSC Agriculture Engineering Syllabus 2018, NSC Civil Engineering Syllabus 2018 and Solved Question Papers. 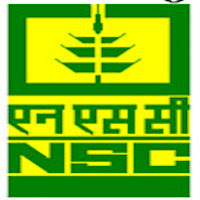 National Seeds Corporation (NSC) has issued a latest recruitment notification to recruit Management Trainee, Senior Trainee, Trainee, Agricultural Engineer and Civil Engineer posts. Candidates who are interested and eligible they can apply online mode before the last date. Aspirants also check other details related to NSC Old Question Papers, Syllabus 2018 PDF, Study Material, Online Books, and more details are given below. The Selection Process of NSC made on scoring high marks in the written exam, so every candidate must and should check old question papers of National Seeds Corporation, syllabus, books to get high marks in the written exam.